Looking for genuine Mopar® OEM parts to do your own repairs or replacements? 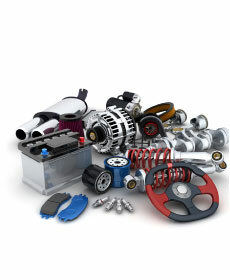 First, browse our parts specials below at Gillman Chrysler Jeep Dodge RAM to see if we have any discounts that could benefit you. We want all of our drivers to get the parts they need for their Jeep SUV or RAM truck in Houston, TX, so make sure to take a look a look below. If you want to save on your next maintenance appointment, check out our service specials to get discounts on oil changes, tire rotations, and more. If you have any questions, please feel free to contact our Jeep dealership in Houston, TX. We hope to see you soon! Must present coupon when order is written at Gillman Chrysler Jeep Dodge of Southwest Houston. Cannot be used with any other offer. Not available for diesel. See dealer for details. Retail purchases only. Must present coupon when order is written at Gillman Chrysler Jeep Dodge of Southwest Houston. Cannot be used with any other offer. See dealer for details. Shop supplies and admin fee additional. Retail purchases only. Must present coupon when order is written at Gillman Chrysler Jeep Dodge of Southwest Houston. Cannot be used with any other offer. See dealer for details. Retail purchases only. Must present coupon when order is written at Gillman Chrysler Jeep Dodge of Southwest Houston. Cannot be used with any other offer. Shop supplies and admin fee additional. See dealer for details. Retail purchases only. Must present coupon when order is written at Gillman Chrysler Jeep Dodge of Southwest Houston. Cannot be combined with any other offer. Applicable taxes and fees not included. Some restrictions apply. See dealer for details. Retail purchases only.